Mcs | Jestr Events Inc.
Our Master of Ceremonies (MCs) are experts at energizing a crowd while making sure everything flows as smoothly as possible. It's no easy job to be a charmer on stage while running the show behind the scenes. 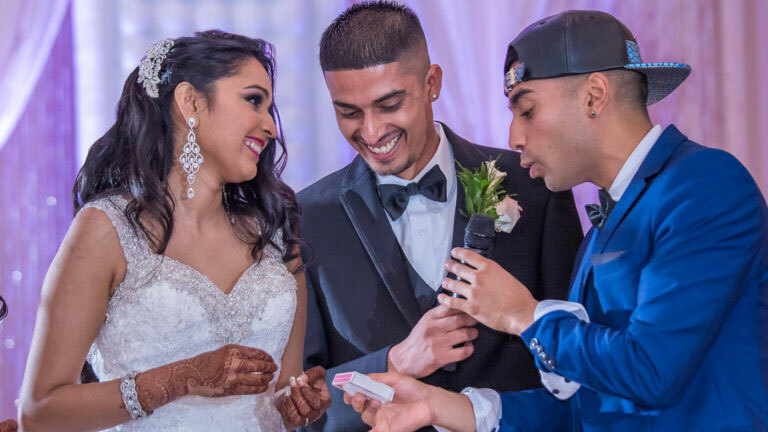 Our MCs work closely with you or your event planner to create the ideal itinerary with your introductions, entertainment, speeches, dancing and more. If you want to guarantee a good time, don't risk leaving this important job to friends or family. Inquire about our MC services today! 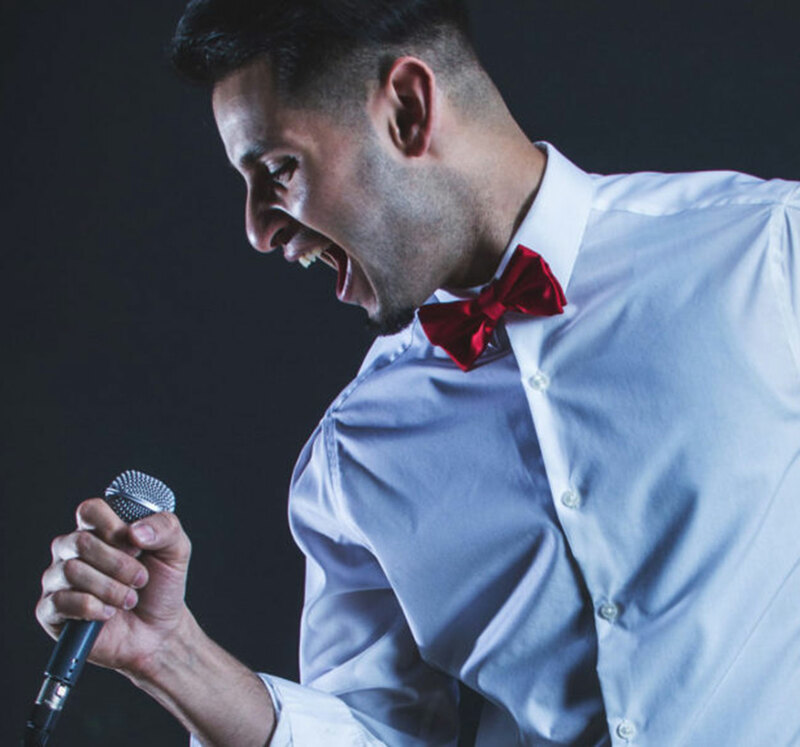 If you’re looking to book your MC and entertainment as one package, you should check out the Magician of Ceremonies. How long does the MC stay for? The MC starts during the end of cocktail hour and takes care of your audience up until the DJ takes over. Yes if you’re looking for something out of the traditional, then try our our Magician of Ceremonies. Why not create a unique experience for your guests? Something not seen before. How many games do the MC do? Generally 2 games are done during the night. It’s schedule and timing dependent but we always keep the night full of energy! Is the MC flexible in their performance? Of course! 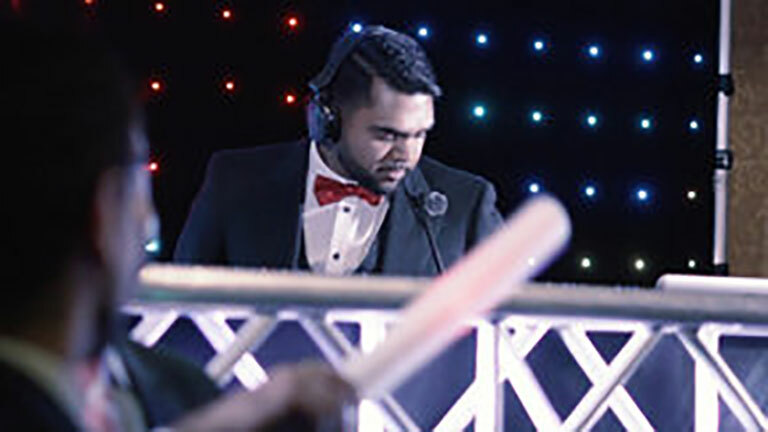 Our MC works with your itinerary, food timings, speeches, other performances and simply fills their material around your event. We create the ultimate experience at no hindrance to your planning!